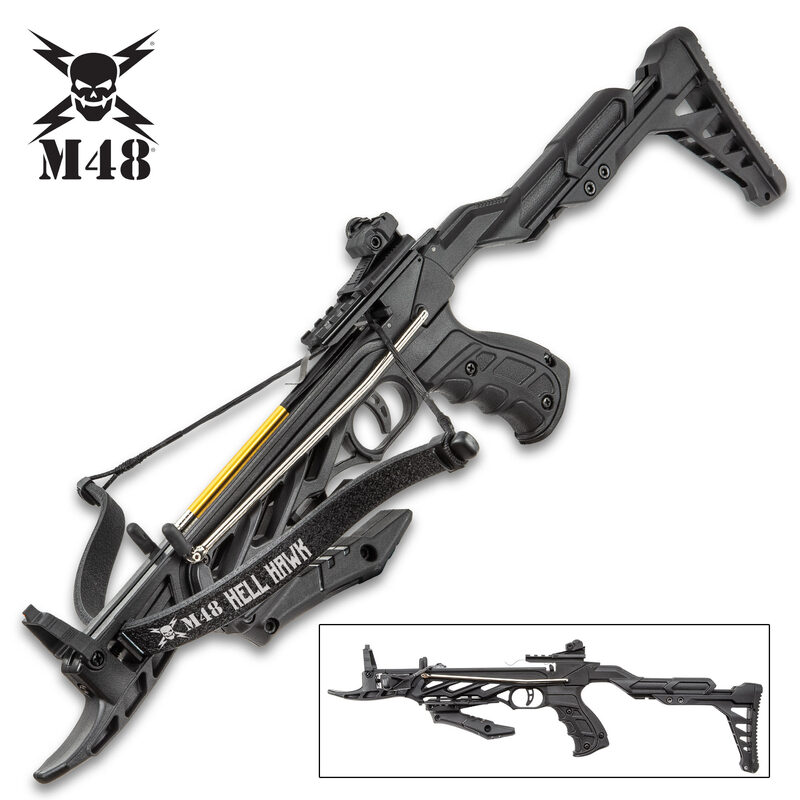 M48 Hell Hawk Self-Cocking Assault Crossbow Pistol - Lightweight Fiberglass Construction, 185 FPS, Bolts Included - Length 24 2/5” | BUDK.com - Knives & Swords At The Lowest Prices! The self-cocking mechanism makes the M48 Hell Hawk Assault Crossbow Pistol one of the easiest and most accurate of its kind out on the market today. 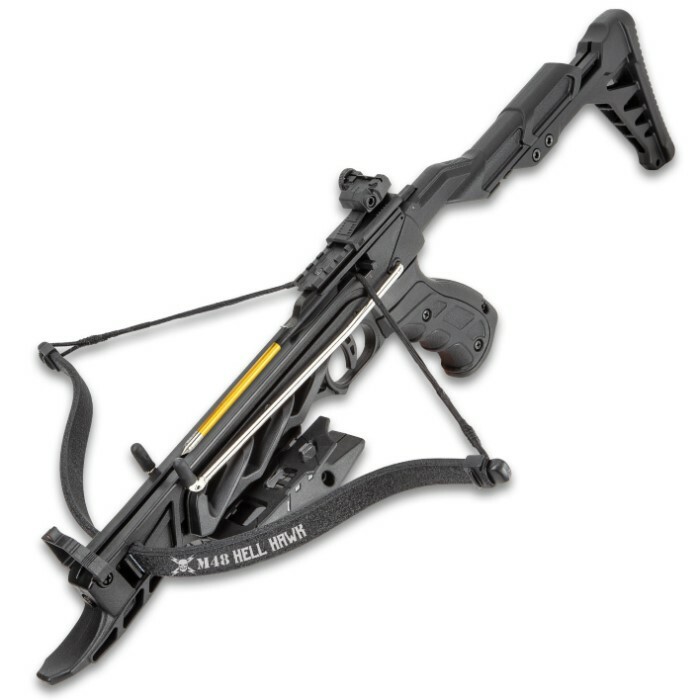 The crossbow is constructed of a heavy-duty plastic and the limbs are a lightweight fiberglass. 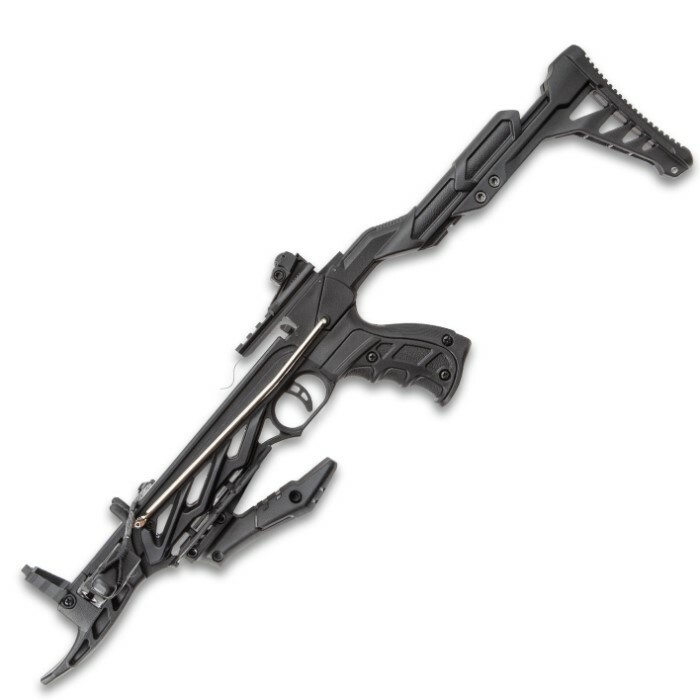 It features a unique, textured TPR grip and the adjustable buttstock will increase the overall length of the crossbow from 22” to 24 2/5”. There is a fiberoptic front sight and an elevation adjustable and removable rear sight to keep things in shooting line. 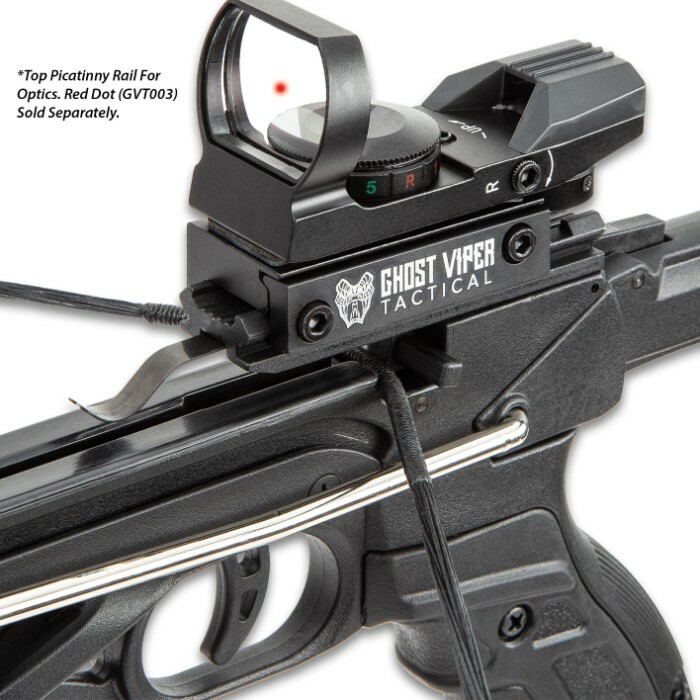 The crossbow pistol has a Picatinny rail on top and on the bottom, where a removable handgrip is attached, giving you the ability to attach your own accessories. With a draw weight of 80 lbs and a 6” power stroke, the crossbow will send aluminum bolts at a velocity of up to 185 fps. 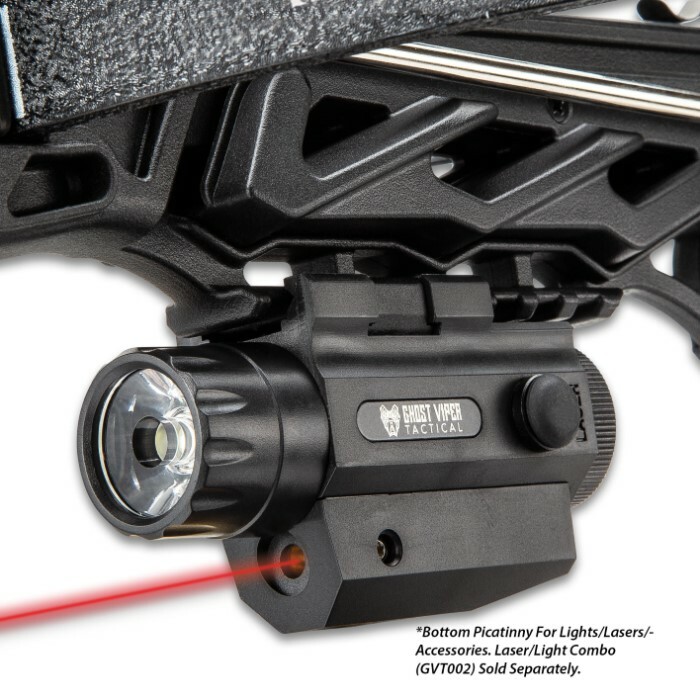 The 16 1/2” wide, self-cocking crossbow pistol also has an automatic safety and it comes with three 6 1/2” aluminum bolts.